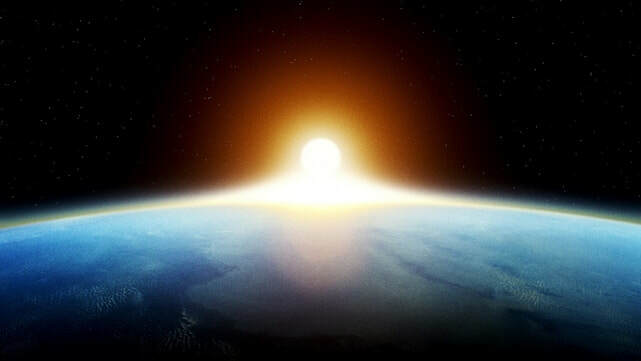 Experienced daily, but unknown to the masses, the same drama unfolds on all major layers of holographic nature: atomically, physically, mentally, spiritually, on planetary/universal level and on all time frames (seconds, minutes, hours, days, weeks, months, years, lifetimes and ages). The information is too large to grasp and too complex to put into words, thus revelation of a simple, well known myth may help you to understand. If you are searching, and reflect on this myth, everything else will follow by itself and you will be able to climb an amazing wall of ancient knowledge, which has been lost, but not forgotten. The myth that I chose reveals occult anatomy and the true nature of man, the universal power of mysteries and of myth itself, and it proves beyond any doubt that we live today in the mental ruins of ancient knowledge, not even knowing what it is that we lost and why we should have a need to get it back. I will then connect this myth to the greatest story never told, which is the greatest story of all ages because the story itself is not just a story and it is not just “great”, but the “greatest”, because there can be nothing even remotely comparable to it. It is the only story that can be told by humanity and which has been told throughout the ages in thousands of different forms, languages and styles. This master story is omnipresent in the world today, right in front of our eyes, in plainest sight, yet it lies concealed in deepest mysteries, carefully hidden from profanity by wise priests, protecting this information, guarding it against destruction and alterations, preserving it for eternity, making it incorruptible, preserving its divine truth, making it available only for the honest seeker. If you have the right mental toolkit available, you will be able to decode all ancient myth, all fables, all fairy tales, scriptures, and all Hollywood movies. There is a mother of all stories, a final boss of awakening, a highest mystical revelation, a key to the All. I will now fulfill a promise I made in this blog earlier this year, when I announced that I would prove scientifically to the world that Santa Claus is real and does exist. 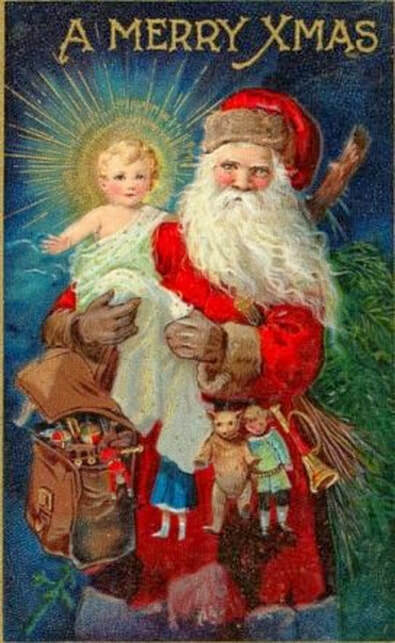 Yes, that is right, Santa Claus is real and he does exist - and he does not just exist in myth, in imagination or in the mind. He physically exists and does bring presents to all children. He does live at the North pole, he is helped by many elves, he has a sleigh that is pulled by 8 reindeer, he does know our wishes and he does bring toys or coal down the chimney. And he is closely linked to what we today call “Christmas”. The nice side effect, once you receive the key to this wonderful myth, is that you will automatically solve the dilemma on how to communicate to children in a way that allows them to develop and cultivate the highest way of human understanding. 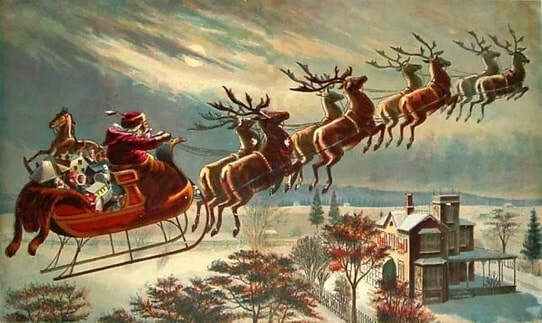 Should we tell our children that Santa is just a myth? After all, finding out that mom and dad really bring the presents can be quite a disappointment for a child, and it doesn’t feel right lying to children in the first place, does it? Or should we uphold the myth as long as possible, so as not to disturb the romantic childhood? The answer to this dilemma is that we can do both, because Santa does exist and he doesn’t, both are true. Children love to learn truth, and they openly accept a dual, seemingly paradoxical answer such as the one above, because they are still in right brain/holistic thinking. Your great benefit of studying the below scientific facts will be that you also develop your right brain and start understanding myth/ scriptures. Living the ritual of Christmas/Santa Claus today may be compared with a dance seen by a deaf man who does not hear the music to which the motion is timed, and who has no clue about the characters who are performing. This is because, in our times, the myth has moved too far out of view. The ridiculous eschatology discussions (end times, heaven, hell, death, rebirth, etc.) of today are driven by a profound lack of proper education. It is not only that people today don`t know - they have also been trained to be unaware about their own ignorance, and when they do become aware, there is some mechanism in place to make them feel scared. Eschatological rituals, such as Christmas, can only be comprehended by means of understanding myth. The myth alone may break mind control. The Claustrum (Santa Claus) is located (lives) in the human head as part of the Cortex, which is at the very top (north pole) of the body. It is also origin of the term "Cloister" (German: Kloster), the place where monks and nuns go to live a secluded life and study scriptures. 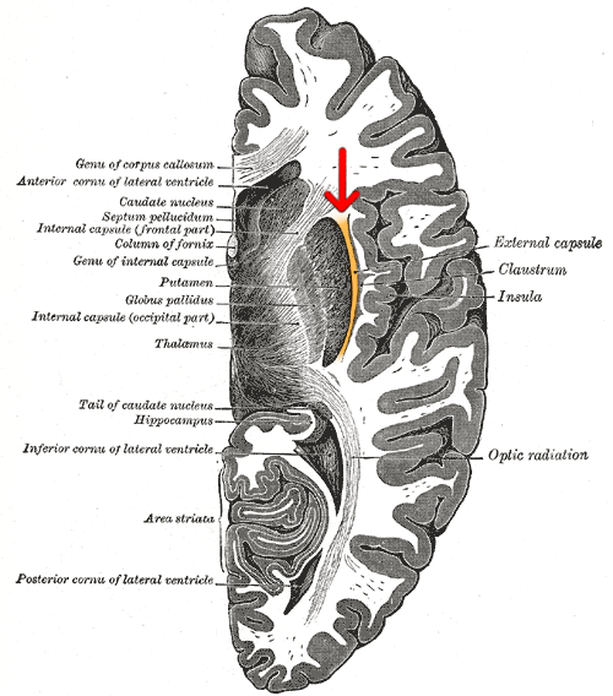 In the lateral view, The Claustrum is located below the Insular Cortex (Island). 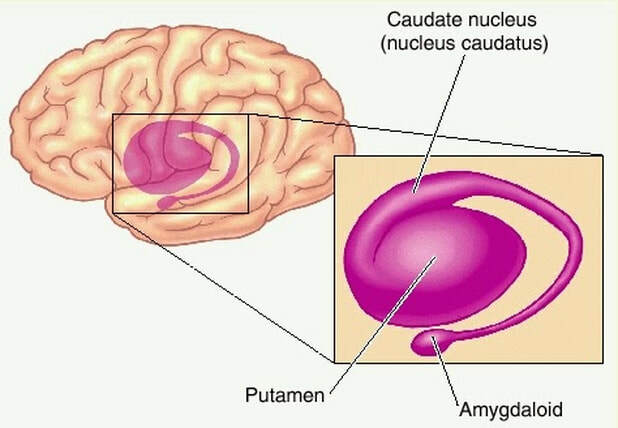 The Putamen is connected to the Substantia Nigra (latin: "black substance", coal), which is involved in the process of regulating reward and addictions and appears dark because it contains high levels of Neuromelanin. 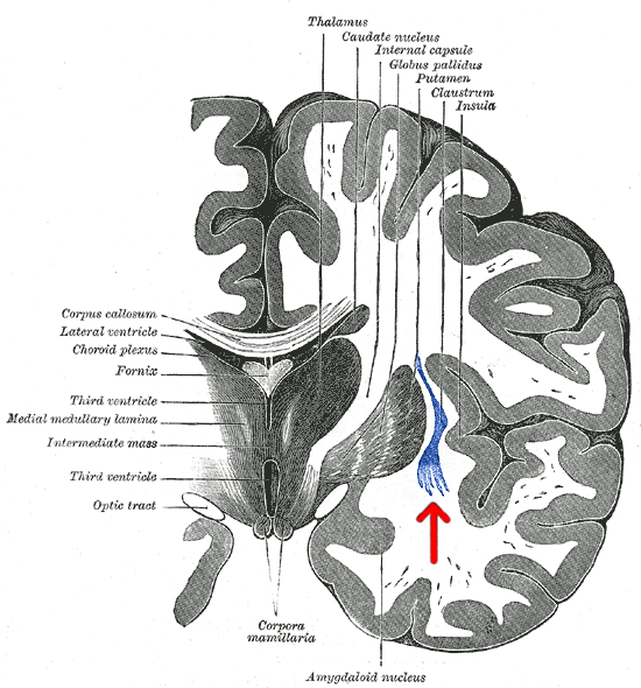 A unique feature of the Claustrum is that there is a uniformity in the function of its cells, all Neurons do the same work (Elves help Santa). The suture of the skull (Sanskrit "Door of Brahm") is the external entry point (chimney) of the planetary Santa Claus/ Christ, where he enters your head (roof top). The internal chimney is the human spine. The Claustrum releases an oily substance (Christ, greek: Christos, "oil", Manna from heaven), which is a secretion (a secret/ a mystery) that is used as basic material by the Pineal Gland (Joseph, father of Christ) to secrete a yellow substance (honey) to the Pingalla (electric, male energy channel), and the Pituitary Gland (Mary, mother of Christ) to secrete a white substance (milk) to the Ida (magnetic, female energy channel). The oily substance (Christos) moves down the spine (chimney, River Jordan) to the Solar Plexus (Bethlehem, “House of Bread", of the Virgin”, Virgo). Here the oil is transformed into a psycho-spiritual seed (Ichtys, fish, Ictus, Jesus, Pisces) which then moves (swims) through the body (ocean, body of water containing saline fluid: human blood and sea water are chemically nearly identical). The first internal biological process (miracle) the seed (Jesus) performs is to transform water and oxygen (spirit, breath, the holy ghost) into red cell “living” blood (wine) during the chemical fusion (wedding) in the lungs (Cana) which are connected to the blood circular system (Galilee). The psycho-spiritual seed (sun, fish, Jesus) later descends to the Sacrum (Kreuzbein = “cross bone”, Holy bone, archetype of the “devil”, ruled by Saturn, “Satan” an anagram of "Santa", Capricorn), the deepest point in the sun`s journey (abyss, hell). The Sacrum - a reddish bone, archetype of the "devil"
On the dangerous and difficult way back to the head (promised land, heaven, Israel) the seed (chosen one, messiah, hero figure, Horus, Krishna) must now try to leave the lower, animal body (Egypt, Sodom and Gomorrah), defeat animal (sexual) desire (Pharaoh, Judas, Scorpius), cross the blood barrier (Red Sea) and climb the spine (Jacob`s ladder), which has 33 vertebrae (Masonic 33 degrees) to a place in the skull (Golgotha) where the Vagus Nerve (Tree of Life)/ Cerebellum and spine cross each other (cross). Here the seed is electrically charged (crucified), before it can head further up to the center of the Cerebrum (heaven). 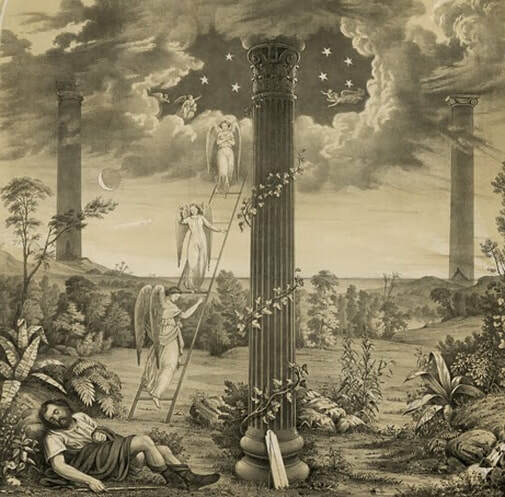 Jacob`s ladder, where angels (electrical impulses) move up and down. Jacob ("supplanter", "holder of the heel" = Adam Kadmon, the Cabbalist man on the Zodiac wheel) has his head on the stone (Petrus), the rock on which the Christian church was founded. The Jew Peter, which is Jupiter, ruler of the Age of Pisces. It should now become clear that, in a Hermetic sense, during Christ`s mass (Khemet: Kresh Mes, Greek: Christos “oil”) within the body, the internal sun/son is reborn, just as the external sun is reborn at the winter solstice. Illumination works through a conscious, spiritual transformation from the lower mind (He Phren) to the higher mind (Iesous), the human body can be compared to a "lamp" (wordplay: lamb) belonging to god (wordplay gad= tribe of Aries, “arise” at Vernal Equinox) and when this lamp is ignited by the process described above (exoterically at vernal equinox, esoterically at Passover), the grey matter (the dead) will be activated (reborn). "Thou anointest my head with oil." The wise virgins now trim the wicks of their lamps and fill them with oil, before they meet their bridegroom. The seed then remains 1 moon sign in a skull cavern (3 days in the tomb) and after three days proceeds upwards (ascends) to the Pineal (compare to Winter Solstice). Masonic Hiram Abif (Masonry encapsulates the same information as Christianity in a different set of myth and symbols) has thus created a "stone for the temple builders", a stone without the mark of the animal man (mark of Beast). If repeated, the older, destroyed seeds/ stones can also be reactivated (the dead shall rise) and at some stage the electrical energy of the Sacrum (kundalini) is activated and the Queen of 7/ Sheba may rise to the Optic Thalamus (all seeing eye) and reactivate the Pineal (third eye), the "eye becomes single and the body is full of light". You have thus given 10% (consciousness, left brain hemisphere, Mercury) to receive 100% (right brain, dark matter of the brain, unconscious, right brain hemisphere, Venus) and are part of the order of Mel-chi-tsadiq (black-energy-righteous person). Note how the universe, just like the human brain, contains 90% dark matter. As without, so within. The serpent Mesi (mes, mas) represented the Gnostic Christ (solar energy active through the miniature sun in the earth center through the human "heart" - the heart of the brain is the Pineal). 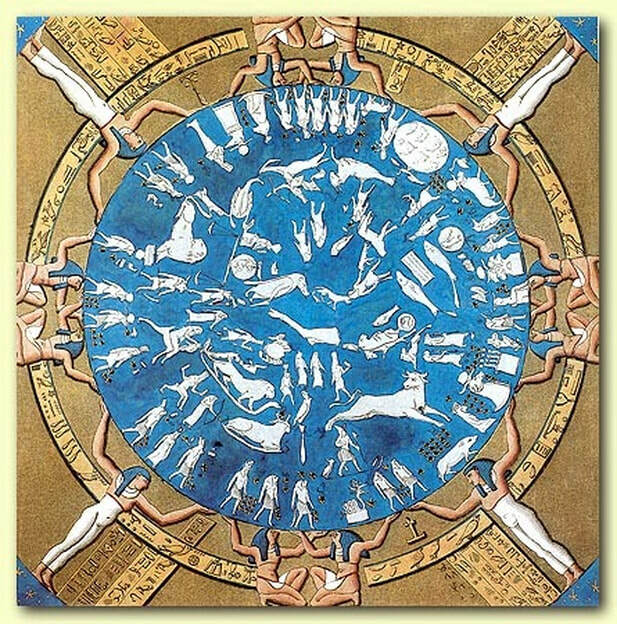 It consists of 7 souls (planets, colors, musical notes, chakras, cities, churches) + Iesous = 8. Now it becomes clear why Santa`s sled is pulled by 8 reindeer – the sled is pulled by the Egyptian *Ogdoad. The Vatican shows you this in the form of a white dove. Nothing new under the sun! Santa Claus is thus the giver of the most supreme, divine gift in the human body, the raw material for the oil in the lamp of the magic genie. Why "X"-mas? 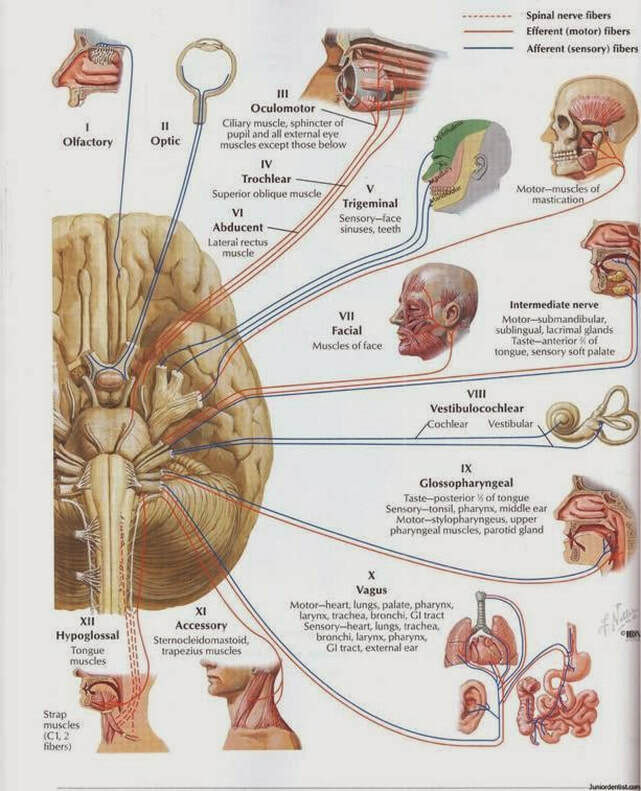 The Vagus Nerve is cranial nerve no. 10 (roman X), see bottom right in the picture above. He is one of the elders before the throne. "Santa Claus does exist! He is very real. A. Boyd Kuhn - who is this king of glory?